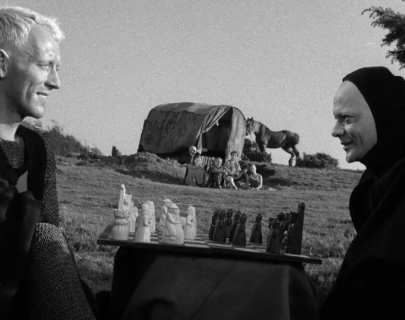 When disillusioned knight Antonius Block (von Sydow) returns home from the Crusades to find his country in the grips of the Black Death, he challenges Death (Ekerot) to a chess match for his life. Tormented by the belief that God does not exist, Block sets off on a journey, determined to commit one redemptive act while he still lives. Bergman’s masterpiece has remained one of the most iconic films ever made, tackling issues of existential doubt and despair.